Moments before he was shot and wounded, Temple Mount activist Yehuda Glick talks about the importance of Jews ascending the Mount. 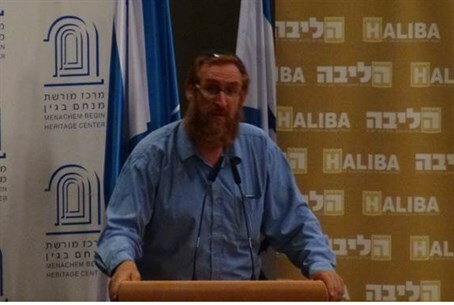 Just moments before he was shot and seriously wounded, Temple Mount activist Yehuda Glick spoke on Wednesday evening at a conference at the Begin Heritage Center in Jerusalem. Glick spoke of this week’s Torah portion, Lech Lecha, in which G-d tells Abraham to leave his native land and his father’s house for a land that G-d would show him, promising him to make of him a great nation, bless him, make his name great, bless those who blessed him, and curse those who cursed him. Glick equated the words of the Torah portion with the work of those Jewish activists who ascend the Temple Mount and who call for it to be opened for unrestricted Jewish prayer.